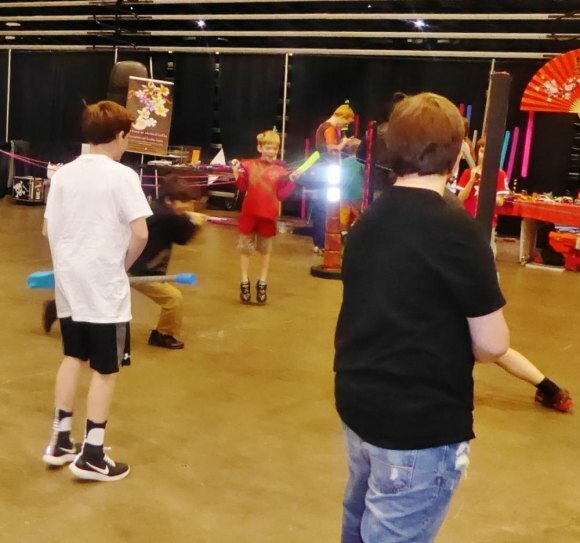 The annual three day anime and pop culture convention wrapped up Sunday at Huntington's Big Sandy Superstore Arena. About 2,200 people attended the 2016 con , according to a FB posting from Tsubasacon. An October date for the 2017 con has been set with the BSSA. Images below are from Sunday afternoon which reveal that the aliens, fairies, and other creatures were still out in force. Additional Photo credit by Kaylee Hall (last in gallery).